I was able to successfully upload the plugin, however nothing happens when I click on the “Install Plugin” buttons. Or ask your hosting company if they can take a look at it for you. 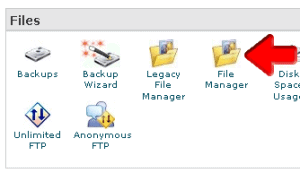 This is nuts … where do you log on to the cPanel????? … this is very hard to just upload and use. 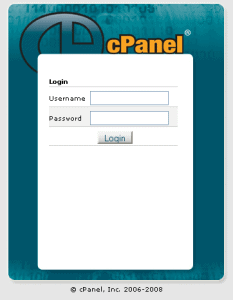 From what I see the cPanel is not free. My web hosting is GoDaddy. Will the this IonCube loader work on GoDaddy. I am just totally confused how to even install this thing. I guess I am disappointed that going through this process has been very daunting. I just want to use this Traffic Getting SEO pluggin and I can’t. So please if you could help that would be wonderful. Hopefully this will help, http://help.godaddy.com/article/5608. Using wordpress.org for my website that I registered with 1and1.com and getting the Site error: the file /homepages/23/d114460298/htdocs/wordpress-1/wp-content/plugins/Free-TGSP-3.0-no-encr/core.php requires the ionCube PHP Loader ioncube_loader_lin_5.2.so to be installed by the site administrator. I can install other plugins. Yes, you may install other plugins. But the error you are receving is for ioncube. Pelase refer to the installation instructions or contact 1and1 for help. Will enabling ioncube delete any of my wordpress blog files already installed since the path is changing? The safest thing to do is to check with your hosting account provider. Wow, I’m a total noob at this and this solved my problem completely. Million thanks! Ok, I have been a CIW Certified Web Designer for 10 years and I do some PHP programming so your information pointed me in the right direction. However, please note that your instructions and screenshots for Hostmonster are woefully OUT OF DATE! I could barely figure out what buttons to click, so I know that a Newbie would be Totally lost using your screenshots above. Your information is out of date and I’m not blaming you. That’s just what happens in the world of the Internet! However, you best advice should be to just call customer service at your hosting company and have them walk you through it. I truly don’t know why more people don’t do that! Thanks for all your effors, however! Thanks for the heads-up , I’ll pass it along to my team and see if they have time to update them.